The Imusa espresso coffee maker is a stovetop coffee espresso maker that makes excellent quality espressos. 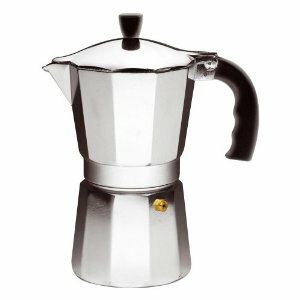 It is very easy to use, and the fact that it is manual, you don't get all the complicated buttons in brewing the coffee. It has an aluminum body and a classic style look. For over 50 years, the Imusa has been producing coffee makers so this is a brand that you could really trust.